Danforth offers Building Commissioning and Retro-Commissioning services in New York State. Our processes are designed to facilitate the start up of new building systems and to increase the efficiency of existing building systems. This assures our clients that their building systems are operating at optimal performance levels using the least energy possible. Our Team follows strict procedural standards for our commissioning process to ensure that a consistent and systematic approach is taken for your plumbing, HVAC, and mechanical building systems. Danforth utilizes Aircuity Optima Building Optimization Technology to test and verify indoor air quality. This system has the analytical capability to evaluate air samples and identify potentially harmful indoor pollutants. The Optima system is a highly automated system designed to provide cost effective building performance optimization for a healthy comfortable very efficient building. It can be used for quick response to comfort and air quality complaints. In addition, our NEBB Certified Air and Water Balancing team can measure and evaluate the air and water balance in your building against the original design, and make recommendations as needed, to achieve original design intent. We often work jointly with end users, architects, engineers and construction managers, to validate and often improve building performance. We can operate as a Commissioning Agent or as a commissioning Authority depending on the situation. Because of our Certification and our vast experience, we are confident and comfortable commissioning many of the projects that we construct, and the majority of our clients are more than comfortable with that condition. Start Your Commissioning & Retro-Commissioning Project with Danforth. Meet with one of our Commissioning & Retro-Commissioning consultants. 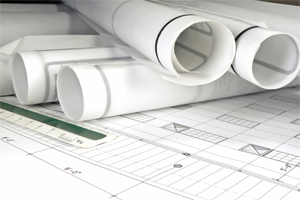 We’ll outline our process and begin your project estimate. Fill out an Online Estimate and we’ll reach out to you with a Commissioning & Retro-Commissioning proposal drafted to your exact specifications. Get answers about our Commissioning & Retro-Commissioning services and speak with a knowledgeable Commissioning Expert.